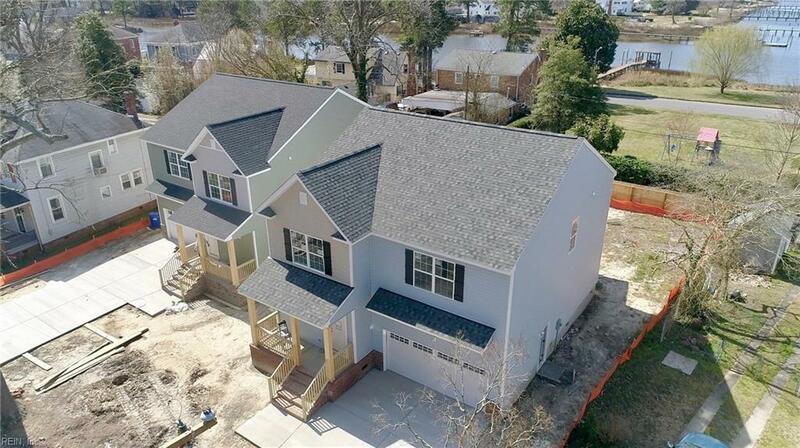 518 Shenandoah St, Portsmouth, VA 23707 (#10241958) :: Abbitt Realty Co. 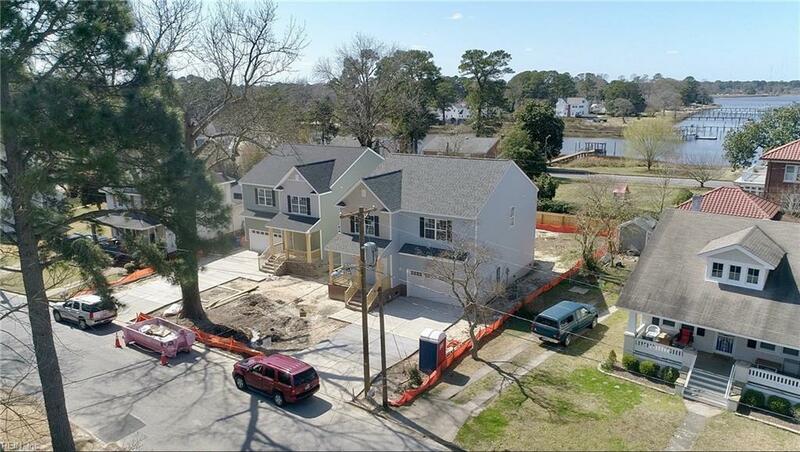 Incredible opportunity for new construction in established Waterview with views of the Elizabeth River! 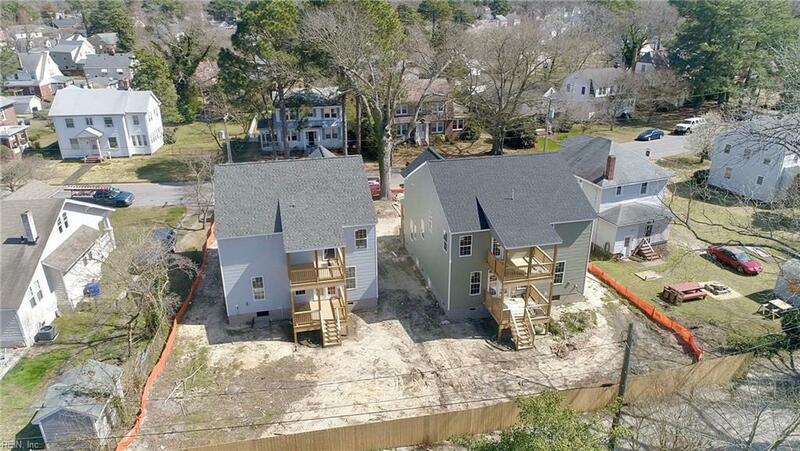 Ample size and a laundry list of included upgrades, no flood insurance required! 1st floor flex room is great for office or 5th bedroom. All stylish wood laminate flooring in the 1st floor living areas, tiled baths and laundry & hardwood stair treads. Impressive open concept great room and kitchen that boasts a large island with bar overhang, custom cabinets with soft close feature, large pantry and stainless appliance package. Most rooms pre-wired for wall tv's and ethernet with structured wiring panel. Master suite offers a tray ceiling, private covered deck with river views along with an ensuite master bath with jetted tub & separate tiled shower, dual vanity & huge walk in closet. Big garage, multiple covered decks, fenced yards. Rare combination of size and finishes well under $300k! 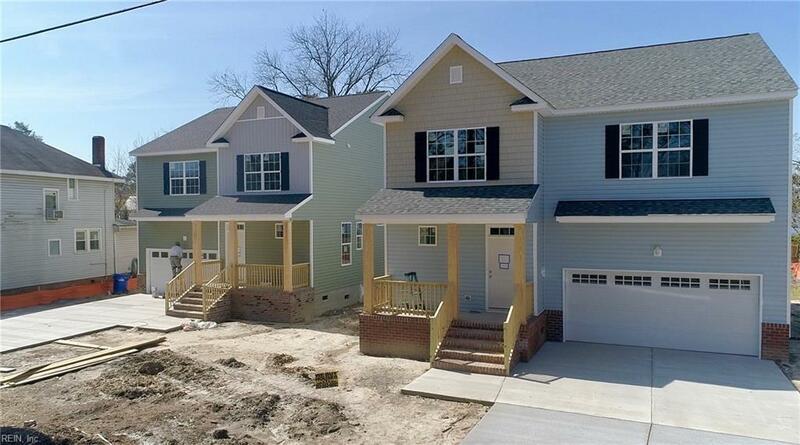 Reputable, local builder.